Using dangerous chemicals when cleaning can endanger the health of others. As a result, the law requires that hazardous substances be strictly controlled. Employees and other people that might be exposed to these substances must be protected at all time. The measures are basic, but penalties for disregarding them can be severe. 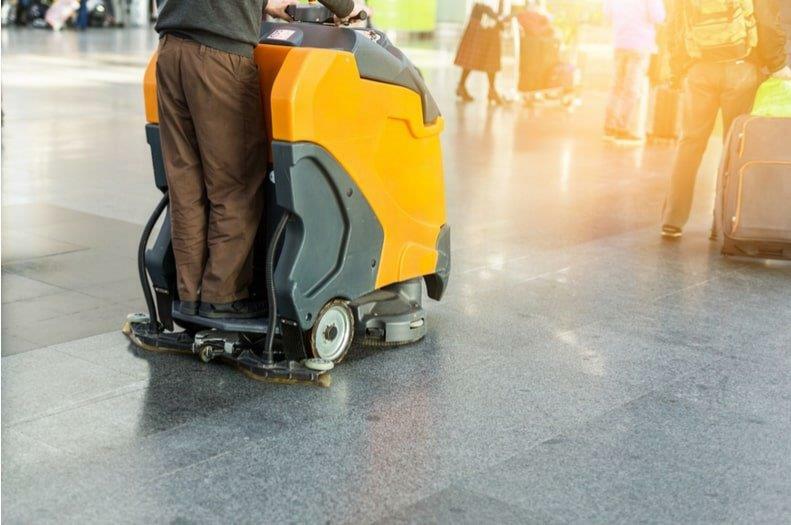 Here are some basic steps to ensure compliance with COSHH when using cleaning machines. Everyone from the supervisor to the employee using the cleaning machines and chemicals needs to get the right training. Anyone who could potentially be exposed to dangerous chemicals needs to know what steps to take without a moment’s hesitation. Sometimes, catastrophe can be avoided with the right training, which has to be repeated often. The manufacturer will usually supply you with the sheet, but you can often download it from their site. It is important to have both digital and hard copies of the list in case of an accident. The list should be easy to access by anyone who works with the chemicals or who might be exposed to them. The COSHH sheets will cover all the risks that come with each chemical. It is important to carry out the risk assessment of each chemical. This risk assessment will entail reading the COSHH sheet and contextualising it. As part of the risk assessment, you will learn which safety equipment you need to handle any chemical. You must also ensure that the equipment you use is of the right grade. For instance, some goggles are designed specifically with dangerous spills in mind, which might be dangerous for those who use them to prevent physical splinters from entering the eyes. One of the most important compliance measures is to ensure that you are getting the dilution of chemicals right. If a chemical is too concentrated, any safety measures you put in place will be compromised. Ensure that the employee in charge of the dilution process always has the right measuring equipment to get the dilution right. In some cases, employees will attempt to guess how much of the chemical is needed. This behaviour should be highly discouraged. With this and a few other rules, compliance should be easy. On the last note, ensure that trigger bottles are properly labelled since it can attract heavy fines. When an employee is harmed, doctors need to be able to tell what chemical caused the injury.